The nominees for best female hip hop artist include Diamond, Cymphonique (Master P's daughter), Lola Monroe, and the Young Money mistress herself. Do you agree with BET's choices for nominees? Share your thoughts. Peep This ? 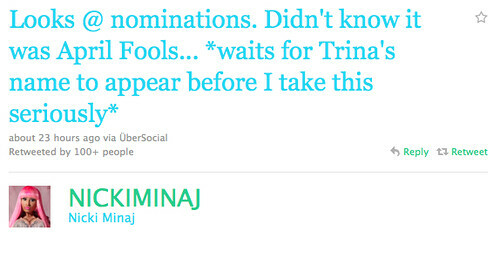 Should Trina Really Be Upset About Getting Snubbed A BET Awards Nom?